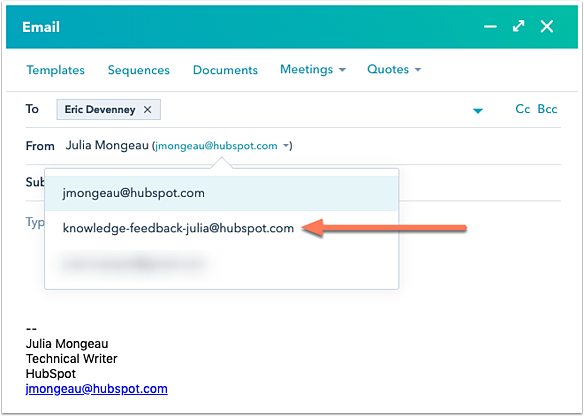 When you send an email from the CRM through a connected inbox, the From address defaults to your user email address. 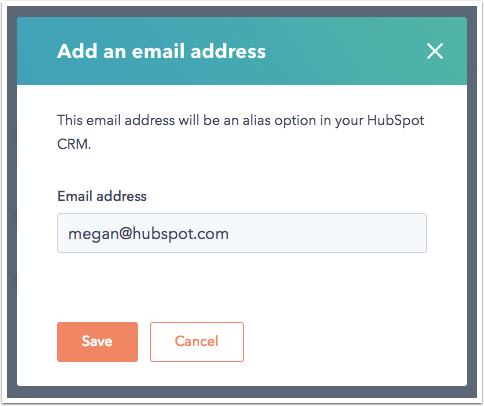 You can connect more than one inbox to HubSpot if you want to send emails from the CRM with other email addresses. An email alias is an alternate address that points to a user's existing email account. If want to send emails from an email alias, you can do so from the CRM depending on your email provider. 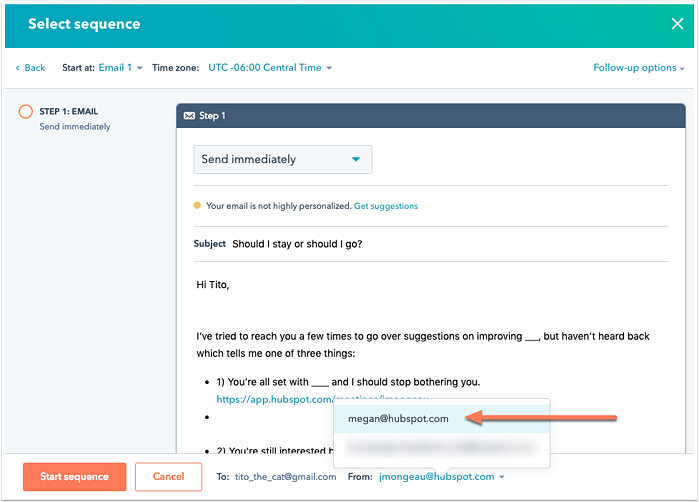 Otherwise, you can manually add the email alias in your Profile & Preferences so emails sent outside of HubSpot can log to the CRM. If you have connected a Gmail inbox that already has an alias set up, you can send emails from the CRM using the alias. In the email composer window in the bottom right, click the From dropdown menu and select the alias. Please note: for this to happen automatically, you must add the alias to your Gmail account before connecting your inbox. If you are enrolling contacts in a sequence from the CRM, you can also select the alias as the From address in the Select sequence dialog box. In the left sidebar menu, select Security. In the Email Aliases section, click Add email address. Enter the email alias, then click Save.